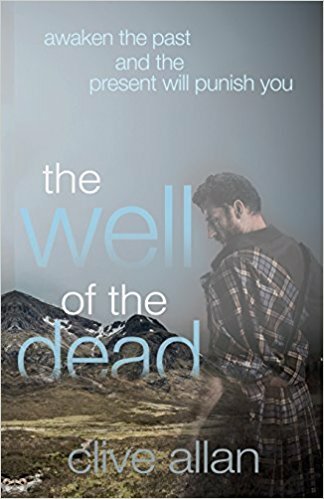 The Well of the Dead is not the usual dysfunctional, urban police procedural, but one in which the story is played out amongst the rugged beauty of Scotland’s wild landscapes. Detective Inspector Neil Strachan has concerns at home when his long-term partner starts acting strangely, but he is forced to put his personal life aside when the body of Laura Fraser is discover in her Scottish castle and her husband, Duncan, is missing. The couple have inherited a whiskey business and the family castle. Duncan’s body is soon found near Culloden at the Well of the Dead. Both bodies have been mutilated with strange carvings that hint to a time long past. This is the second book featuring DI Neil Strachan. With his sidekick Sergeant Holly Anderson they try to unravel who the ruthless and violent criminals are, and why they are apparently obsessed with Jacobite ancestry. From chapters set in 1746 the reader begins to learn the history for revenge. The couple have been targeted because of events that took place during the battle of Culloden over 250 years earlier. Merciless killers are looking for hidden treasure and will stop at nothing to find it. When this 600 page book arrived for review I hoped to goodness that it was going to be good otherwise getting through it was going to be arduous. I needn’t have worried. The pace of the novel felt realistic yet kept me turning the pages as the story twisted and turned with emerging details as it wound its way towards a dramatic conclusion. The writing felt cinematic as I was transported to Scotland with its bleak scenery and varying dialects. Neil Strachan is a likeable protagonist, a smart and dedicated detective who works as part of a team and goes off piste when things get personal. A thoroughly enjoyable read.